Great project home on almost a 1/2 acre in Paisley Or. Two story, 2329 SF 4 bed 1-bath home. Vinyl siding and a metal roof. 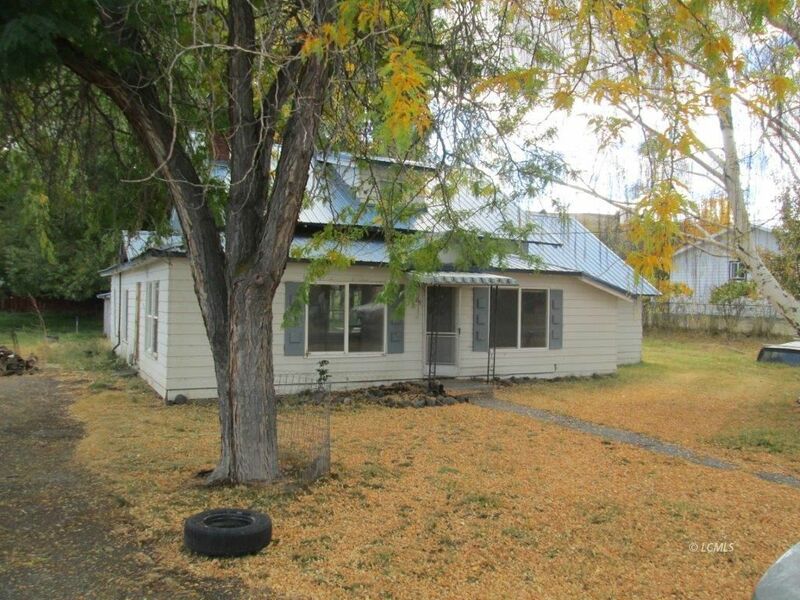 The home needs some updating, paint, sheet rock repairs and flooring. Monitor and wood heat, city water and sewer, Large older storage shed/barn in the back. The home will be sold AS-IS. Cash Sale Only.